Representatives of Zunic Law had the honor to attend the conference organized by the Commission for Protection of Competition “New Competition Agenda” organized on the occasion of 2018 Competition Day. 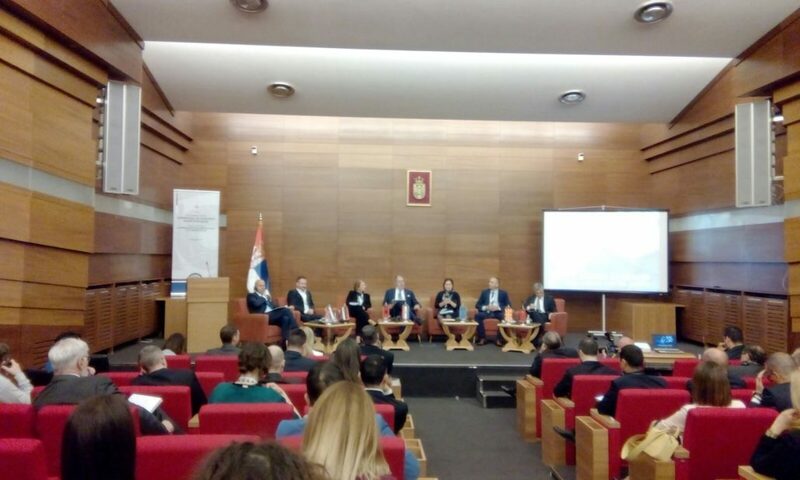 Dr. Miloje Obradović, President of the CPC gave a keynote address, followed by talks by the following officials: Deputy Prime Minister of the Republic of Serbia, Rasim Ljajić, Secretary General of the President of Serbia, Nikola Selaković, Head of the EU Delegation to Serbia, HE. Sem Fabrizi and Ambassador of Japan to Serbia, HE. Junichi Maruyama. Conference participants were informed that the recently published European Commission Report on the EU Accession Process, noted constant improvements in the work of the Commission and improvements in the implementation of the protection of competition. The report is an indicator that the Serbian body for the protection of competition is on the right track. The first-panel discussion “New Agenda for the Region” was devoted to exploring the issue of the importance of regional cooperation. The participants were eminent experts and presidents of bodies for the protection of competition from Slovenia, Macedonia, Albania, Croatia, Turkey and representatives from the European Commission. They specifically expressed their opinion on the mechanism that they consider to be more effective -an increase of penalties for violations of competition law or the promotion of educational, preventive factors. They also stressed the importance of the independence of the work of the body for protection of competition and impacts and even pressures that they encounter in their work. Nikolas Banašević from the European Commission moderated the second-panel “Competition in the Digital World” and discussed with the participants about the challenges brought by progressive changes in information technology, particularly the impact on the protection of competition. There was talk about the most important characteristics of the IT sector in Serbia – the advantages and places for improvement. An important question was raised – would it be useful to have a single body to control state aid and protect competition – as two separate bodies presently perform these functions. During the conference, a Memorandum of Cooperation was signed with the Turkish Competition Authority. We were honored to be present at this conference next to state officials, representatives of regulatory bodies, chambers of commerce, business associations, and other law firms. In order to provide quality service to our clients in terms of protection of competition, we consider monitoring innovations in this way to be exceptionally useful.